But i am using the same credentials to login from browser . @mudasar did solve the issue on the Github thread. We had to disable the “Use SAML auth …” setting. 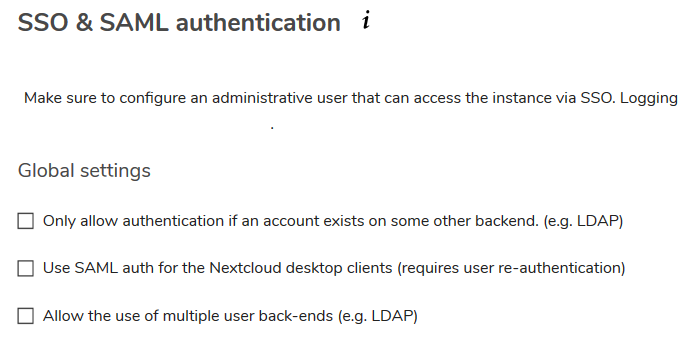 But SAML SSO remains active without this parameter. The question remains if this is a bug or a feature?